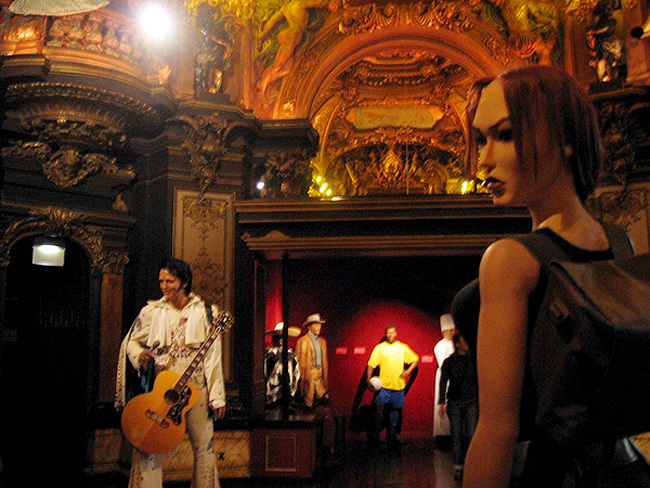 Elvis Presley and Lara Croft in the Musée Grevin. 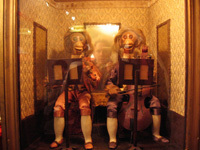 The Musée Grevin is a crazy wax museum with lots of assorted and strange attractions inside. Most of your visit consists of wandering through rooms and hallways filled with super-realistic wax figures of dozens and dozens of American actors, musicians, and politicians whom you'll recognize, as well as lots of French ones you probably won't. But the best part, in my opinion, comes after you've made it past the modern celebrities and into the large History of France section, which is full of creepy scenes of torture, plagues, murders, executions, amputations and other horrible archaic medical practices, and other great stuff like that! 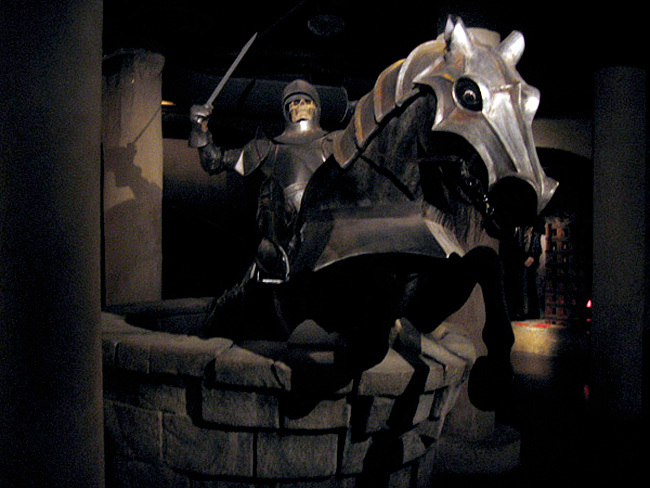 There's even a scene of Quasimodo and Esmeralda, and another of an armored skeleton on horseback busting out of a well (simply labeled "Middle Ages," hmm), neither of which I was aware were parts of French history, but that's why the museum is great; it's fun and educational! I should mention that the History of France section isn't all gruesome; there are plenty of scenes of the positive parts of history as well, but who wants to see that junk? And the museum isn't just wax dummies; one of the first things you'll see is perhaps my favorite in the whole place: the Hall of Mirrors, a lavish, circular ballroom where you'll stand and watch a brief and dazzling light show. And in general, the fabulous decor of all of the rooms housing the wax figures themselves is one of the most enjoyable parts of the whole experience, in my opinion. 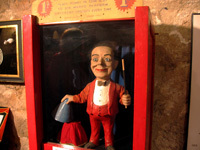 And watch out for the occasional live actor standing very still among the mannequins, waiting to spook you! There's no diplomatic way to put this: the museum is very expensive  €24.50(!!) last time I checked! To put it in perspective, that's like twice as expensive as the Louvre! Jeez! Who do they think they are? 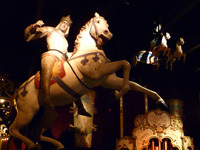 The Musée Grevin does have reduced tickets for students, kids, and seniors. The steep ticket price is the one reason why I often hesitate to recommend this museum to my friends and acquaintances who're visiting Paris, or at the very least I make sure to warn them about the price; I don't want to be responsible if they end up not liking the place and feeling ripped off! I don't worry about this sort of thing for other museums like the Pompidou or the D'Orsay, for example, which are less expensive, larger, and arguably much more culturally significant. Of all the museums I've been to in Paris, big and small, the Musée Grevin is without a doubt the most expensive, but it is fun if you've got the dough to spend. So that's my only warning; if you don't die of a heart attack at the ticket window, you'll have a fantastic time! Make sure to check the museum's website to confirm ticket prices and hours when planning your trip. 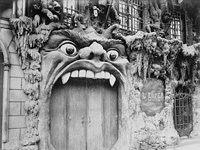 A Hell-themed café in Pigalle. 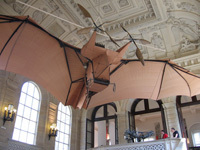 Steampunk bat plane in the Musée des Arts et Métiers. 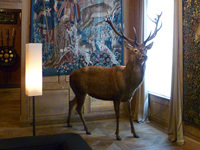 The Museum of Hunting and Nature.